Flipping houses for a living: How much can you earn as a salary? HOW MUCH CAN YOU EARN AS A SALARY FLIPPING HOUSES FOR A LIVING? Flipping houses for a living. 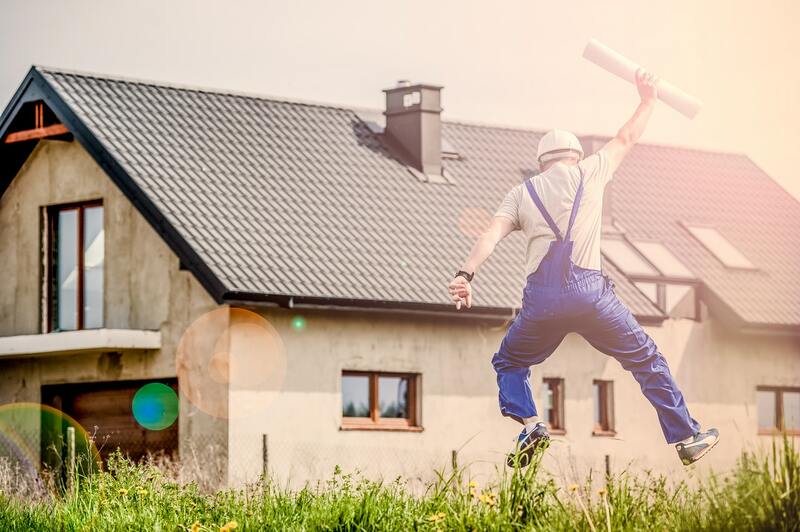 With the rise in popular HGTV shows like Fixer Upper and Property Brothers, many of us (myself included) have dreamed at one time or another of jumping on the house flipping bandwagon. There’s just something incredibly alluring about taking an ugly house, making it beautiful, and selling it for a large profit. Doesn’t that just speak to the American Dream? Well, as wonderful as the notion of flipping houses for a living sounds, how much money can you really make doing it? The quick flip method can be a great way to not only make money flipping houses for a living, but it won’t require any money on your part. In fact, you never even own the property! Simply put, a quick flip is when you sign a purchase agreement to buy a house, and prior to the closing date you find a buyer to sell the property to at a higher amount than what you agreed to buy it for. John owns a real dump of a house and is very motivated to get rid of it. You approach John and offer to buy the house for $15,000 cash and close in 30 days. John agrees and you both sign a purchase agreement. What happens next is you hurry to find a buyer to sell the house to. Sure enough you find real estate investor Sally who likes John’s house and is willing to pay you $20,000 cash and agrees to the closing date you set with John. At closing, John sells the house for $15,000, Sally buys the house for $20,000, and you just made $5,000. This is also known as real estate wholesaling. So, what happens if you don’t find a buyer? Well, you notify John that you’re backing out of the deal. It’s very important that the purchase agreement allows you to back out for any reason. You do NOT need a real estate license, money down, good credit, or anything else. Anyone can follow this method and start flipping houses. This can be a great method to follow if you’re just starting out in real estate and you have no money. This method is pretty straightforward. You buy a house, fix it up, and sell it for profit. This is the method that reality television has glamorized. When it comes to flipping houses for a living, this is probably the most common method people follow. How much is the property worth in its current condition? What will the property be worth post-renovation? How much will it cost to renovate the property? What other fees need to be considered when buying and selling the property? Let’s address each of these questions one-by-one. Now, there two ways to help you determine the property’s current value. You can hire an appraiser to do an ‘as-is’ appraisal or you can have a Realtor run what’s called a comparative market analysis (CMA). An appraiser will likely charge anywhere from $400-$800. A Realtor’s CMA will usually be free. Keep in mind, that if you get bank financing to purchase the property, an appraisal will likely be required. The process used to figure out a property’s after-repair value (ARV) is similar to determining the value in its current condition. You can hire an appraiser to do what’s called a “subject to” appraisal, or you can have a Realtor run a CMA. In either case, the appraiser or the Realtor will consider the list of repairs you’ll be doing to estimate the property’s after-repair value. There’s no clear-cut answer to this question as every property is different and the cost of supplies and labor will vary depending on location. If you have little to no experience flipping houses, I recommend you consult with a well-known and respected home renovation contractor. To What Extent Should You Renovate An Investment Property? In addition to the costs of renovating the property, you also need to consider costs associated with buying, selling, and financing the property. Let’s review some of these. Your costs when purchasing a house will vary depending on the property, where you’re buying, and whether you’re paying cash or financing the purchase with a bank. Regardless, the fees can range from a few hundred dollars to thousands of dollars. Here’s a great video that explains closing costs for buyers. This method is identical to the buy, fix, and flip method except you’re not putting house up for sale right away. With this method, you’re still buying and renovating the property, but instead of putting it on the market right away, you’re either renting it or leaving it vacant as you wait for the market to turn. Why should someone consider this method? There are a number of reasons why this method would be advantageous from a business perspective. For instance, you may finish renovating the property in mid-October as the real estate market tends to start slowing down. Instead of having your house sit vacant all winter, you may decide to rent it out on a six month lease and put it on the market the following Spring when the market is more favorable to sellers. Additionally, you may want to wait until retirement to sell and cash out of the property and get monthly rental income in the meantime. These are a just a few reasons why the buy, fix, hold, and flip method might work best for some people. So, How much can you earn as a salary flipping houses for a living?